Horses have played a vital role in supporting soldiers on and off the battlefield. From world-famous chargers to less illustrious animals, explore the stories of some of the most incredible horses in British military history. Briggs was a steeplechase champion named after a family servant. His owner, Captain Godfrey Morgan, purchased him in 1851. During the Crimean War (1853-56), Morgan commanded a squadron of the 17th Regiment of Light Dragoons. They took part in the infamous Charge of the Light Brigade during the Battle of Balaklava (1854), where 370 horses were killed. Briggs showed remarkable bravery during the battle, despite taking a sabre wound to the head. Afterwards, he was unofficially knighted 'Sir Briggs'. Briggs survived the tough conditions of a war that saw many other horses perish from starvation and fatigue. He eventually died in 1874 and was commemorated with a memorial in the grounds of Tredegar Park, his master’s home in Wales. Sefton became a very popular and famous horse in 1982 after surviving a terrorist attack by the Irish Republican Army (IRA). Seven horses and four soldiers were killed in the bombing in Hyde Park and Sefton was severely wounded. After recovering, Sefton returned to duty with the Household Cavalry. He received thousands of 'get well' cards and was made Horse of the Year in 1984 in recognition of his bravery and popularity. He retired later that year, after 17 years of British Army service, and lived to the grand age of 30. Vonolel was a nimble grey Arab horse purchased in Bombay by Field Marshal Lord Roberts. 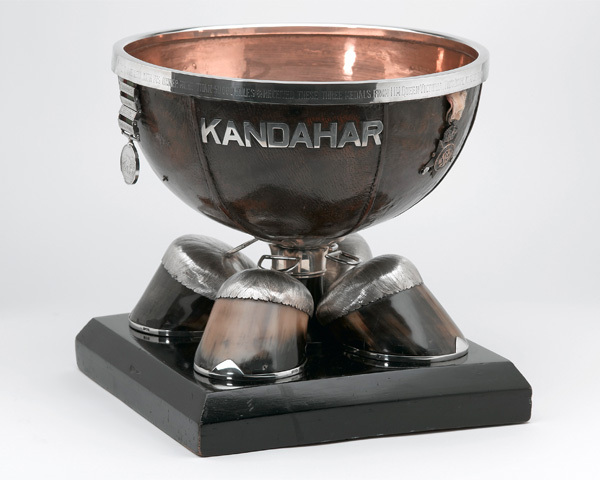 He carried his master on the 300-mile (480km) march from Kabul to Kandahar during the Second Afghan War (1878-80). The pair were a perfect match. Lord Roberts was only 1.2m tall (5 feet 4 inches), while Vonolel was little bigger than a pony. 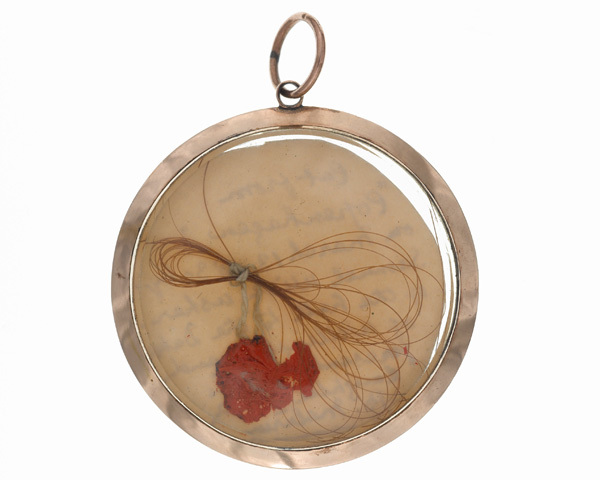 Queen Victoria awarded Vonolel three medals for his service. He also had the honour of being in the procession for her Diamond Jubilee in 1897. He died in 1899 and was buried at the Royal Hospital Kilmainham in Dublin. Ragtime was a pony belonging to Major Michael Willoughby. Born in India, he served as a mount for troop inspections and polo games. During the First World War, the major and his horse served together in Mesopotamia. But they were separated when Willoughby returned to India in 1916. A year later, Ragtime was recognised by Willoughby during a polo event and the pair were reunited. They served together until the end of the war, before taking part in the Arab Revolt in 1920. During his retirement in Yorkshire, Ragtime published an autobiography in 1931. 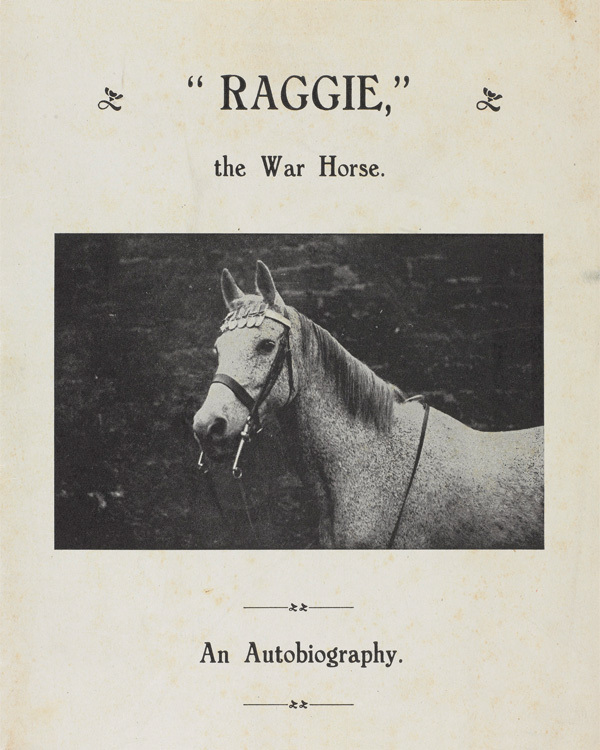 The book was sold to raise funds for veteran horses of the First World War. Aliwal belonged to Lieutenant General Sir Harry Smith, a senior commander during the First Sikh War (1845-46). The little Arab came into Smith’s possession aged four. He was named after Smith’s victory at the Battle of Aliwal on 28 January 1846, although Smith in fact rode another horse called Jem Crow during that fight. Aliwal proved to be Smith’s best horse, serving with him for 18 years. He was Smith’s only mount not to be sick, wounded or die during his military career. A remarkable feat considering that Aliwal travelled across Arabia to India, then to South Africa and later England during his years of service. He was also very obedient. A comrade recounted how Smith would ride Aliwal on troop inspections, galloping at his men as if to charge them. But, without fail, Aliwal would stop suddenly very close to the troops! Copenhagen was the Duke of Wellington’s horse. He was purchased during the Peninsular War (1808-14) and carried the Duke into most of his major battles, including Waterloo (1815). He became as famous as his master after the Napoleonic Wars (1803-15), often attending parades and celebrations with the Duke on board. Hair was snipped from his tail and turned into jewellery. And, when the Duke became Prime Minister in 1828, he rode Copenhagen to Downing Street. Wellington's servants who looked after Copenhagen in his retirement at Stratfield Saye House in Hampshire claimed he 'liked being looked at'! Copenhagen was so famous that after his death Wellington was forced to keep the location of his grave a secret. The letter below is from Colonel J Gurwood to the Royal United Services Institute (RUSI). 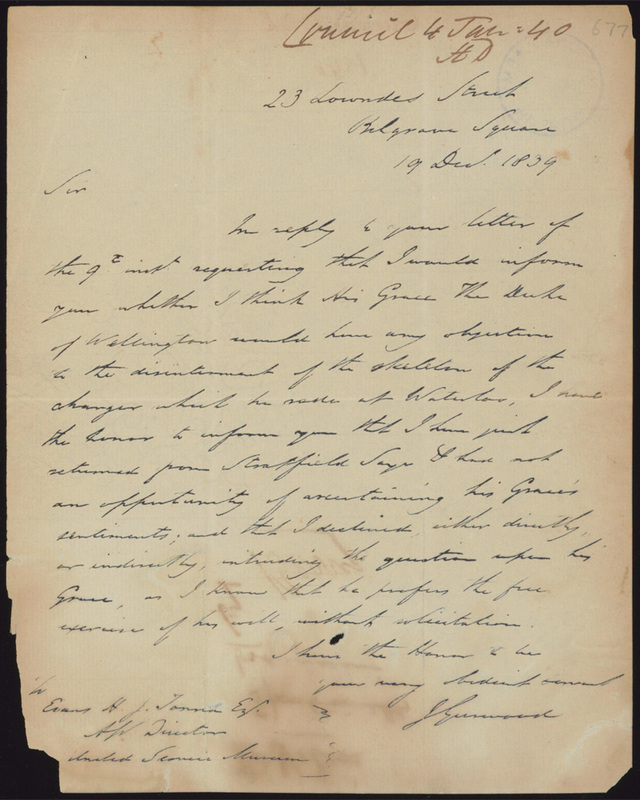 It informs them that he has been unable to pass on their request about the disinterment of Copenhagen. Wellington was asked on multiple occasions to exhume the horse, so that his bones could be displayed with Marengo’s at the RUSI. 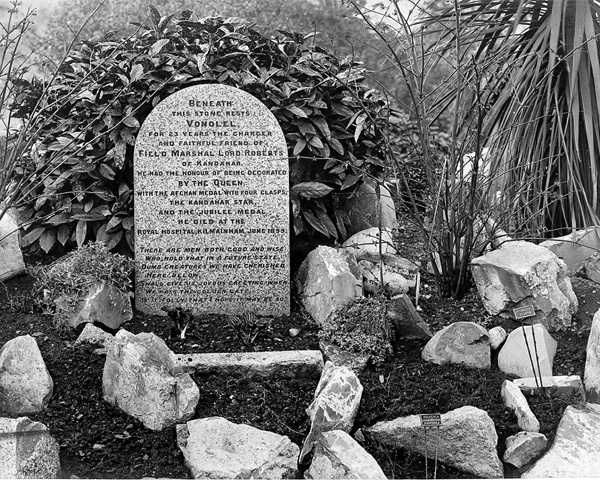 He told them he 'did not know for sure' where Copenhagen was buried, which was a blatant lie as he had witnessed the burial. Black Prince was a yeomanry horse, which meant he was only a part-time soldier. He normally lived in stables in Kensington, London, and was taken out for rides along Rotten Row in Hyde Park. He was also taken on family holidays to the seaside town of Bexhill in East Sussex. When called on for military duties, Black Prince travelled to Gloucestershire by train with his owner, Major Mathews, who served in the Royal Gloucestershire Hussars. Thomas joined the Household Mounted Cavalry Regiment in 1993. Unlike the other horses listed here, he didn’t have to endure the trials of combat during his career, but instead had the job of escorting the Queen on ceremonial duties. Just like a human soldier, he had to display impeccable good behaviour, dignity and discipline. Thomas served at several major national events: The Queen’s Gold and Diamond Jubilees in 2002 and 2012, the Royal Wedding in 2011, and the London 2012 Olympics. But some of Thomas’s behaviour was distinctly unsoldierly. He gained a reputation as the lover boy of the Household Cavalry Barracks in Knightsbridge by delivering sloppy kisses to his handlers. It was common for new recruits to be asked ‘Have you kissed Thomas?’ when they were sent to the riding school and anyone offering him a treat would receive a snog in return. After such a ‘passionate’ and prestigious career, Thomas retired aged 22 in 2012, after 19 years of service. He put his hooves up at the Berkshire home of another veteran of the Household Cavalry, Farrier Corporal Michael Wood. They later moved to Sweden, where Thomas found a lady love to bestow his kisses upon: Wood’s daughter! Marengo was one of Napoleon Bonaparte’s 150 small grey Arab horses. He was purchased in Egypt in 1799 and named after the French victory at Marengo the following year. 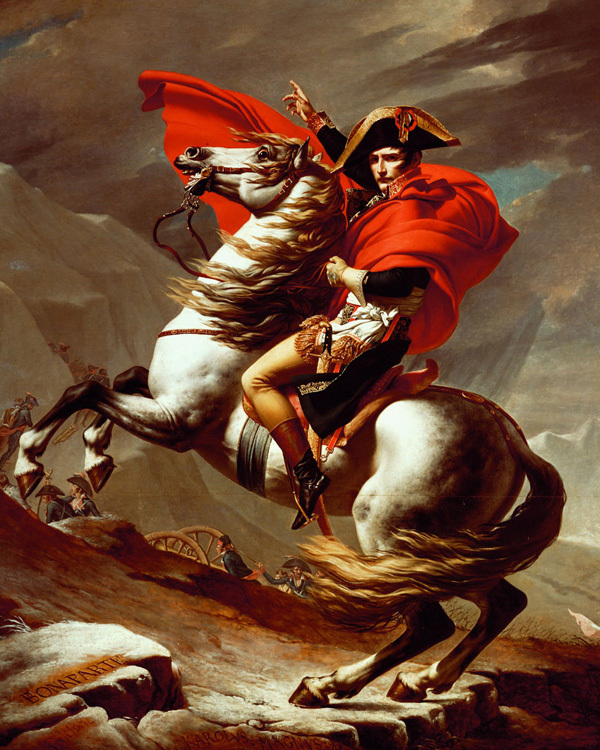 Napoleon’s mounts were trained to be fearless, obedient, and to remain calm on the battlefield. This was ideal for the Emperor, who was a poor rider. Many of the stories about Marengo are probably myth. He is said to have carried Napoleon over 3,500 miles (5,600km) from Paris to Moscow and back; is claimed to be the rearing horse in Jacques-Louis David’s portraits of Napoleon crossing the Alps; and is reputed to have been the Emperor’s mount at the Battle of Waterloo (1815), even though Napoleon probably commanded the battle from his carriage. After Waterloo, Marengo was taken by the British and became a popular attraction. Following his death in 1831, his remains were preserved. His skin, with its crowned ‘N’ brand, was lost. But his skeleton was donated to the Royal United Services Institute. He became even more famous than when he was alive. Marengo’s bones are now on permanent display in Battle gallery here at the National Army Museum. Le Vizir, another horse Napoleon rode at Waterloo, is preserved in the Musée de l’Armée in Paris. We sent Napoleon's horse Marengo to the Natural History Museum to prepare him for display in the new galleries. During the First World War, the Army relied on its horses to perform a wide range of jobs. The requisition, transportation and care of these animals was therefore of huge importance. 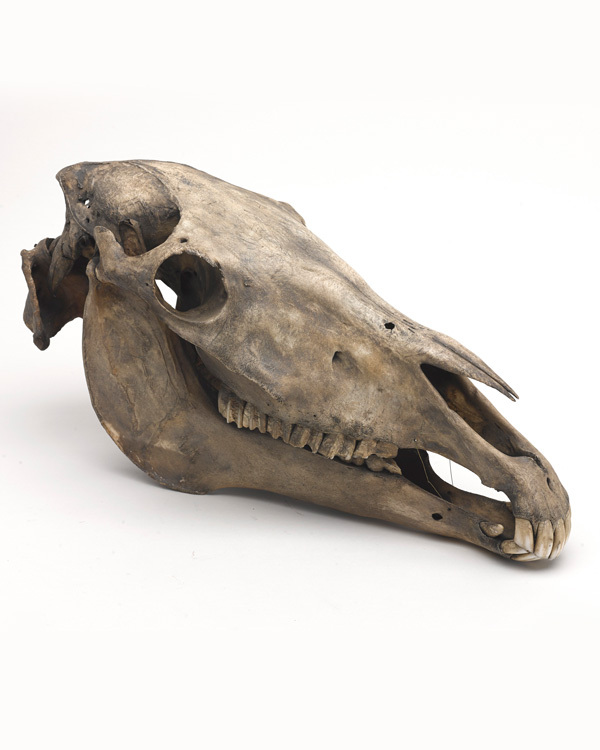 Explore more war horses in the National Army Museum's Collection.